By Greg Johnson. Every once in a while when putting together a blog article, I run across an insurance coverage case that all dealers should know about. Although not a recent case, North Carolina Farm Bureau Mut. Ins. Co. v. Weaver, 134 N.C. App. 359, 517 S.E.2d 381 (1999), is such a case. In short, the court held that wrongful repossession claims were not covered by a garage liability policy as repossession of collateral, even if the insured had a valid possessory right, is not “necessary or incidental” to garage operations. Weaver owned an automotive parts and repair company, Weaver’s Auto Parts and Garage. Grice contacted Weaver about getting repair work done on his 1986 Camaro. The Camaro was towed to the garage and the repair work was completed. Grice attempted to retrieve the Camaro on several occasions, but failed to pay the bill for the complete repairs and was informed that the Camaro would not be released until full payment was made. Grice later tricked an employee of the garage into giving him the Camaro without having paid the repair bill. Weaver called the police and reported the Camaro stolen. Later, Weaver assembled a group of seven people to accompany him to recover the Camaro with a wrecker. Weaver had in his possession a .357 Magnum revolver. The Camaro was found parked off the road near an abandoned house trailer. As the Camaro was being hooked up to the wrecker, Grice emerged from the trailer and ran towards Weaver. A struggle ensued and ultimately Weaver’s gun fired, killing Grice. [T]he ownership, maintenance or use of locations for garage business and that portion of the roads or other accesses that adjoin these locations. “Garage operations” includes the ownership, maintenance or use of the “autos” indicated in SECTION I of this Coverage Form as covered “autos.” “Garage operations” also includes all operations necessary or incidental to a garage business. Weaver argued that his actions in attempting to recover the Camaro were “necessary” to the business of the garage and that he could not afford the lost profits from stolen property. The court first held that Weaver’s efforts to retrieve the Camaro were not “necessary” to the operations of the garage. Although Weaver had a valid possessory lien on the Camaro under North Carolina law because Grice owed the repair bill, North Carolina law addressed the steps to be taken by a lienor where possession of a vehicle was not voluntarily released. Those steps required the lienor to “institute an action to regain possession of the motor vehicle or vessel in small claims court.” As Weaver was not acting in a manner authorized by law when he attempted to repossess the Camaro, it could not be considered “necessary” to garage operations. The court also rejected Weaver’s argument that his actions were “incidental” to “garage operations,” stating: “we conclude that since defendants had available legal remedies, but instead attempted to repossess the Camaro by means not authorized by law, defendants’ actions were not “necessary or incidental” to the “garage operations.” Thus, the policy did not provide coverage for the wrongful death action. Note: Most auto dealerships, in addition to selling or leasing vehicles, arrange financing on the vehicle pursuant to a retail installment sales contract or lease agreement. If the retail installment sales contract or lease agreement is assigned to a lending institution (most dealers do not hold the paper), the dealership has no rights in the collateral – the rights in the collateral have been assigned to the financial institution. 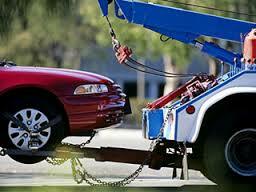 Dealers should ALWAYS consult with their attorney before attempting to repossess anything. This entry was posted in ADCF Policy, Auto Dealer, Wrongful Repossession and tagged Auto Dealers Coverage, Auto Dealers Operations, Auto Dealerships, Garage Liability, Garage Operations, Wrongful repossession. Bookmark the permalink. 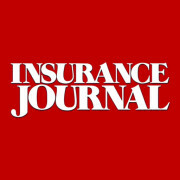 Pingback: The Auto Dealer Liability Policy: Analyzing Coverage for Statutory Acts, Errors or Omissions Claims (TILA, CLA, FCRA, ECOA, FTC, GLB, CFA & UDTPA) | The Insurance Coverage Blog by Gregory J. Johnson Esq.